Fluffy, hot-buttered goodness, drizzled in sweet maple syrup. I can’t think of a better way to wake up on a Myrtle Beach morning than with a hot stack of pancakes and a steamy mug of coffee. Pancakes are something we never seem to grow out of. It’s something that kids and grownups can usually always agree on. 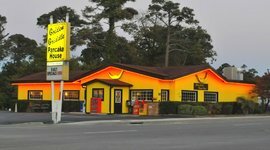 But naming the best pancake house in Myrtle Beach? Well that’s another story altogether. 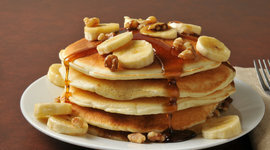 Myrtle Beach takes the (pan)cake when it comes to breakfast food! There seems to be a pancake house on every block. So how do you decide which one to try? 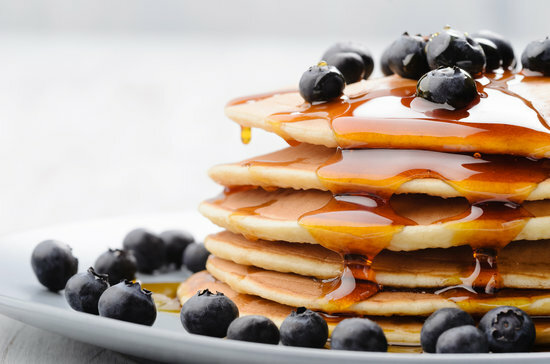 Take a peek at our top picks for the best pancakes (and other breakfast food) in Myrtle Beach and the greater Grand Strand. They cook the fresh pecans right in with the batter. 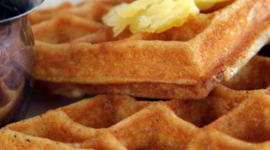 Then, they top it with their homemade cinnamon butter, a secret recipe that goes well with their crispy waffles. Of course, this Myrtle Beach breakfast is not complete without syrup or whipped cream, or both. Thank their pastry chef and waffle savant, Jamie Saunders! Imagine cinnamon roll waffles, red velvet waffles, banana-coconut-chocolate pancakes, and rainbow waffles – for kids and grown-ups with a penchant for multi-colored sprinkles. 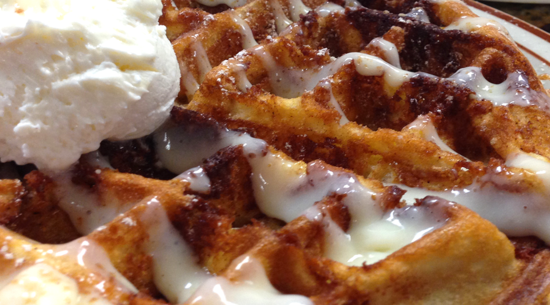 The waffles are crispy and melt in your mouth at the same time. If you’re looking for something more savory, go for the Irish Skillet, a delightful spread of corned beef hash, cheesy potatoes, 2 eggs, and hollandaise sauce. 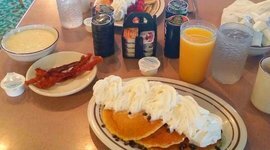 One of the highest-rated pancake houses in Myrtle Beach, Dino’s delivers classic flapjacks, golden waffles, and other savory favorites. You can go crazy with a tropical combo of pineapple, shredded, coconut and whipped cream or get fancy with their malted Belgian waffles. 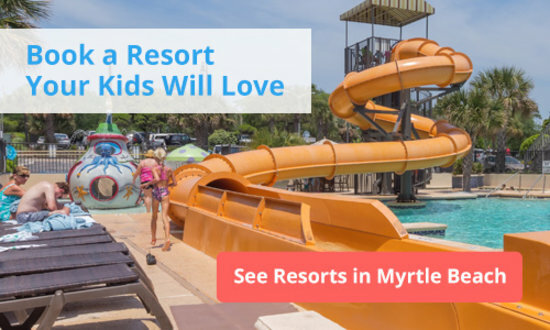 It’s a quirky little diner where you can fill up the whole family for well under $10 a person making this one of the best Myrtle Beach breakfasts for the money. You better believe that several little ones can split the Golf Platter, which comes with two jumbo golden waffles, two eggs, and a choice of bacon, ham, or sausage. The waffles here are sweet and golden brown. It’s got a nice little surfer shack vibe. For generations, the Biscuit Shack, now known as The Shack, has been serving up southern breakfast with those “you can only get at your grandmother’s house” recipes. Think squash casserole, fried okra, fried catfish, and chicken and dumplings. They’re known for their “meat and three” deal. For $7.99 you can get one meat and your choice of three of their veggie sides. Of course they serve superb fluffy pancakes, but it’s the home-cooking classics that separate this Myrtle Beach breakfast restaurant from the rest. If you want your pancakes thick and golden and covered in glazed strawberries, that’s one thing, but if you’re trying to avoid gluten at the same time, then it seems like you’re out of luck. Not at Hot Stacks. 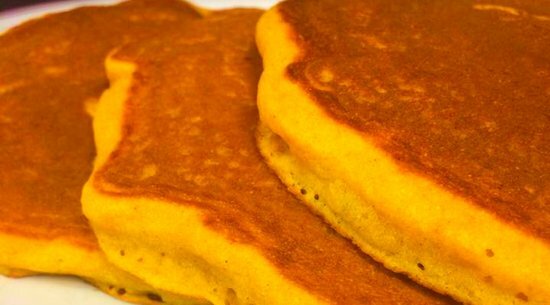 They offer gluten-free pancakes to those with food sensitivities. And for those looking for a more sophisticated breakfast food, why not order the pancake’s French cousin, the crepe. Enjoy it inside or sit out on their patio. I can’t imagine there is another pancake house in Myrtle Beach that does breakfast better. This sunshine-colored Myrtle Beach pancake house is a delightful way to get the day started. And then comes the light, melt-in-your-mouth pancakes. If you’re really hungry or looking to feed 3 kids at once, order the Big Dog Special. It’s 3 eggs, your choice of bacon or sausage, and 3 pancakes, and it’s just $8. While you wait, kids will love the coloring books and crayons, and can explore the map of South Carolina on their placemats. They also have the southern favorites of Biscuits and Sausage Gravy if southern comfort food is your thing. For something simple — just normal honest-to-goodness, delicious pancakes — Sunrise Pancake House in North Myrtle Beach is where it’s at. You get a side of grits and toast to go along with two hot cakes. The French Toast and eggs are fabulous too. 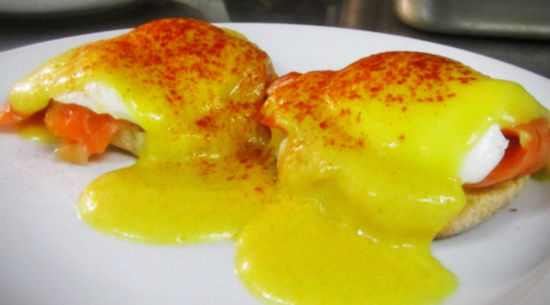 And did I say, Dixie Eggs Benedict? It’s your savory alternative to all that sweet buttered syrupy fluff. Are you looking for a pancake house in Myrtle Beach that has more than just pancakes? Open all day and all night (IHOP closes at 10 pm), they serve 44 varieties of omelets and many types of Belgian Waffles, pancakes, and French toast. But it’s the Reese’s Belgian waffle, topped with chocolate and peanut butter chips that you gotta try! Your kids will be asking to come back for that or the peanut butter jelly waffle with blueberry syrup. This is a Myrtle Beach breakfast to get the morning off on the right foot. 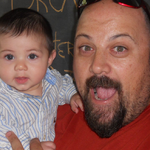 Their fluffy cakes are great, and their Big Dog Special can feed 3 kids at once for $8. It comes with 3 eggs, 3 pancakes, and your choice of bacon or sausage. You can get all the favorites like golden pancakes covered in glazed strawberries and syrup. 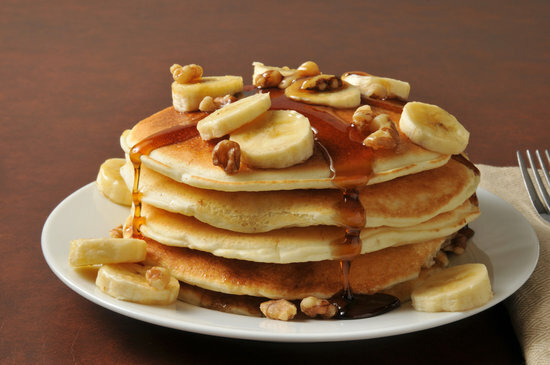 Or go for their healthy menu for lighter alternatives and gluten-free pancakes. They cook the pecans right in the batter. Try their homemade cinnamon butter atop crispy waffles and fluffy pancakes. They're not fussy about their pancakes, just simple and delicious. Also, the savory Dixie Eggs Benedict with poached eggs on a biscuit is a must. Wake up to Southern homecooking. Squash casserole, fried okra, catfish, and chicken and dumplings is enough to start your day right. They actually have waffle cam, where you can watch these puppies come to life. With omelets and many types of Belgian waffles, it's a great breakfast choice. This quirky little diner serves delicious flapjacks and malted Belgian waffles. 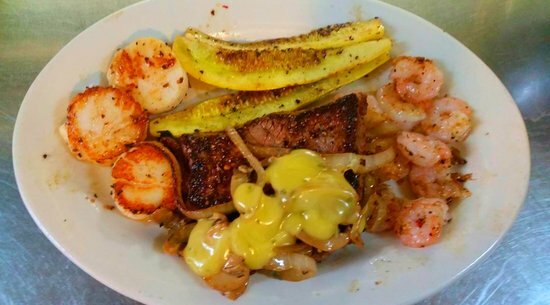 Their Golf Platter can feed several kids for $10, or a golfer with a big appetite.